Expected to ship in 13 days. 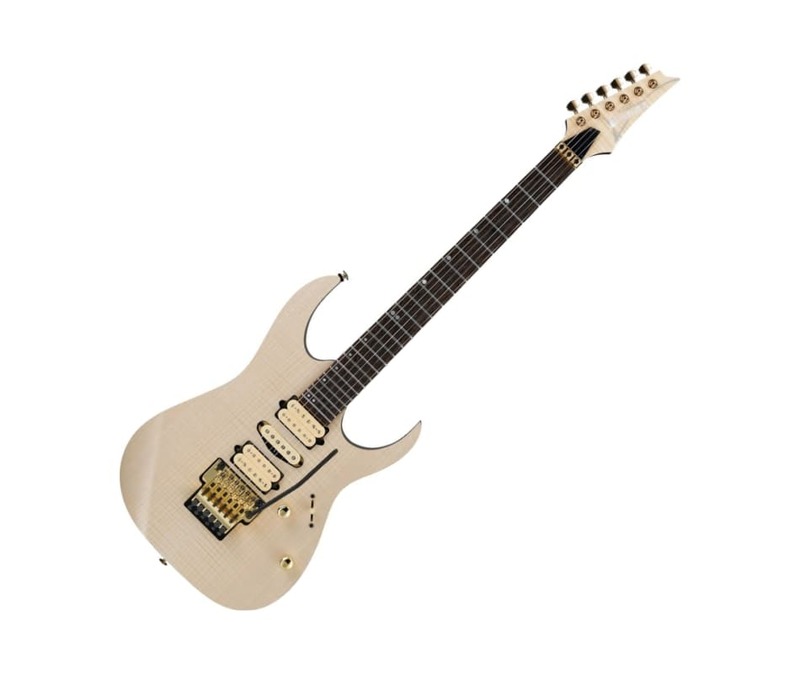 The Ibanez RG1070FM Premium series, manufactured by skilled craftsmen using select tone woods, high-profile electronics and top of the line hardware, is "Designed to Inspire," and dedicated to enhancing your musical journey. The richness of sound, stunning appearance and unrivalled playability of the Ibanez Premium series will open the gates of a reservoir of inspiration. The RG1070FM features a 4mm Flamed Maple top and African Mahogany body. The 11-piece Wenge, Maple, Walnut and Purpleheart Wizard neck is extremely stable and rigid and increases sustain. The Panga Panga fretboard provides a tight response and features stainless steel frets for a bright tone, long durability and smooth note bending. The luminescent side dot inlays makes it easy for players to see in the dark, especially when on stage. The DiMarzio Air Norton, True Velvet and Tone Zone pickups offer depth, warmth and rich dynamics when combined with the 5-way pickup switch. The RG1070FM utilizes Belden wiring and copper shielding inside the control cavity for noiseless operation. The masterpiece Edge tremolo bridge provides exceptional tuning stability, precise intonation adjustment and playing comfort. The Gotoh MG-T locking machine heads achieve incredible tuning stability and make string-changing quick and easy.